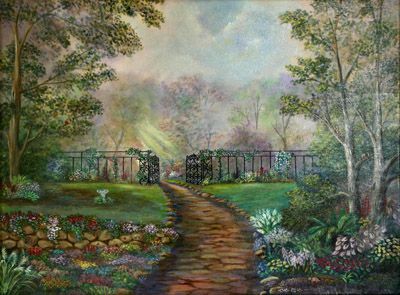 Description: The original painting is 30x40. Colors and flowers indicate late spring. It's a place that I would like to walk into.